The Pheonix Festa comes to its explosive conclusion in this second half of the series; but will team-mates Ayato Amagiri and Julis-Alexia von Riessfeld manage to win the event? 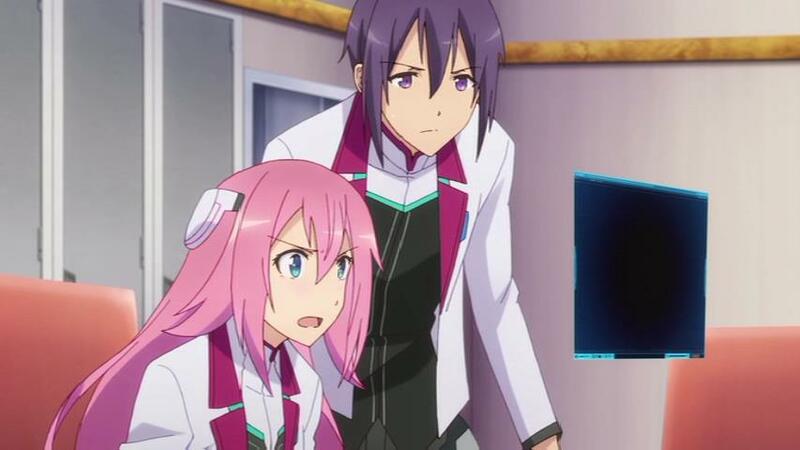 Well you’ll have to find out for yourselves but here are our thoughts on the UK DVD Release of The Asterisk War – Part 2 via MVM Entertainment. The Phoenix Festa has finally started! Ayato and Julis will face the strongest fighters from the other five schools. Despite some build-up and suspicious character activities this second half of The Asterisk War is nothing but an exhilarating disappointment that runs on the hope of a third season. Regardless questions are answered by leaving more questions in their wake; and when all is said and done the Phoenix Festa ends with another ‘Festa’ being teased. This is another classic case of the story being continued within the source material; which is a real shame as The Asterisk War was just starting to go places. Picking up right where the first half left off we find that The Phoenix Festa is in full swing with the Quarter Finals taking place and numerous academies competing. In this case two teams from Seidoukan are found to be competing in the later stages of the tournament; with Ayato and Julis forming one team with Saya and Kirin forming the other. For the most part this second half of the series begins by following these two teams through the gruelling fights within the tournament; with each having to overcome difficult obstacles in order to make it to the next round of the event. 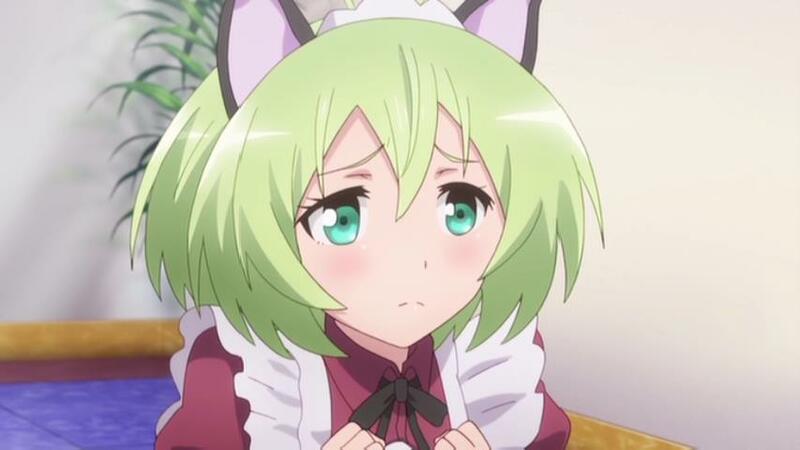 Storyline development is a little thin and the pre-existing harem that appeared within the first half also doesn’t seem to be making an apperence either; fortunately this all changes when an old friend of Julis, Flora, arrives to cheer Julis on in the tournament. It’s explained that Flora is from the orphanage which Julis visited as a child and that the reason for Julis competing in the tournament is so that prize money could be sent to the orphanage in order to be kept afloat. This new information causes Ayato to be more determined in winning the Pheonix Festa so that he can help achieve Julis dreams as well as finding information about his own sister. The arrival of Flora also sparks a sub-plot within this Phoenix Festa event; as Flora is suddenly kidnapped and a ransom demands that Ayato not use his Ser=Versta during his next battles. As such the story splits; with Ayato and Julis having to battle in the tournament without using the powerful Ser=Versta while Saya and Kirin are left searching for Flora and the kidnapper. This sub-plot is both interesting and entertaining as we see the two stories intertwine with each other to a point whereby everything works in Ayato and Julis favour; but of course they have to survive the onslaught that is a mechanised puppet that can fuse to become even stronger. It’s a fun battle to watch; but again many questions are left unanswered. The closure of the phoenix festa leaves three episodes left and some would think these would be used to wrap-up an already disappointing story; but alas that is not the case. 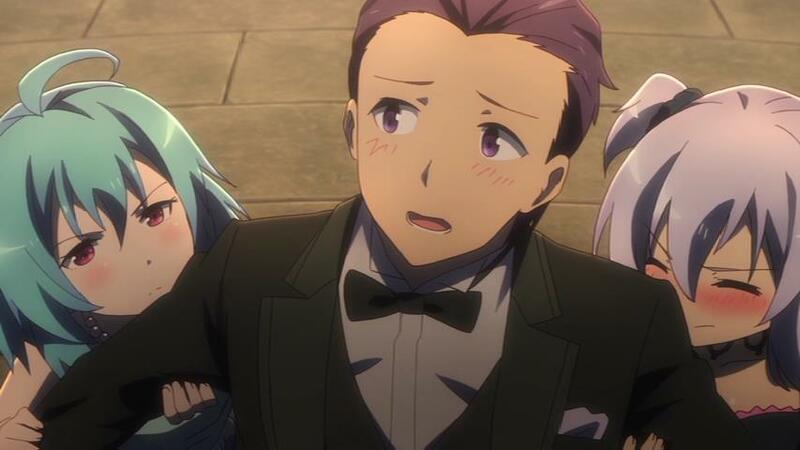 Instead viewers are treated to a ‘new story’ that sees Julis and her friends escorted to her own kingdom. Here we get to see the Orphanage first-hand and dwelve deeper into the mindsets of Julis and her ‘system controlled’ government; but at the same time it sees Claudia, the student council president, make her proposal on entering the next Festa event; known as the Gryphs Festa. Unlike previous festa events this is single-school team based combat; and the warriors have been chosen. From here you would think the three episodes would spiral quickly into the tournament; but alas that is not to be instead we see hired hitmen of sorts tasked with attacking the group in order to get them to back away from the Festa. It’s not entirely clear why but if Julis and her friends were to win the Festa it could cause disruption within the worlds balance for her kingdom. Vague indeed; but alas this is here where The Asterisk War winds down and a monstage presents itself for the ending credits. So what about Ayato’s sister? Well turns out she has been kept hidden in a hospital and sees herself bind in her own abilities. What next? Well unfortunately that’s it and if you want to know more you’ll need to read the light novel as thats where the anime ends; an disappointing inconclusive story that provided mediocre experiences at best. When it comes to bonus features then this DVD release, which has once again been mastered by Madman Entertainment, features a minimalistic set of supplementary content with only textless songs and trailers being included. Regardless of the lack of supplementary content the menu disc is also simplistic and leaves much to be desired. It’s a style that has been used before; but it is still a disappointment. 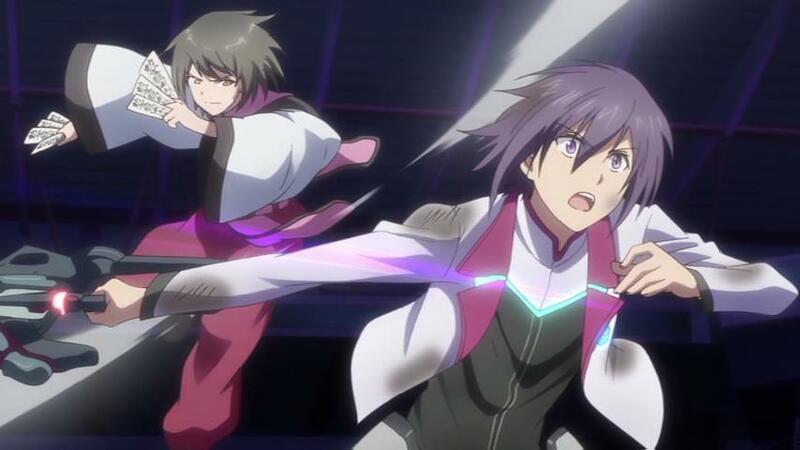 Potentially ignoring the foundations built-up from the previous cour The Asterisk War – Part 2 returns with twelve episodes, spread across two DVD discs, of which explore the remaining fights of the Phoenix Festa in explosive fashion. In this case Ayato and Julis, as well as Kirin and Saya, put everything on the line in order to defeat the opponents they have been pitted against. 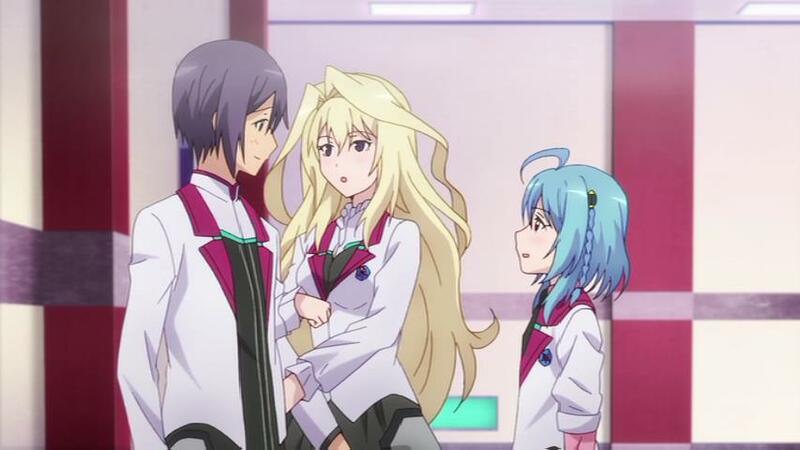 It’s an entertaining selection of episodes that soon gets more interesting when Flora, a friend of Julis, is kidnapped and as such the two teams work in tandem in order to win the tournament and save their friend. With the closure of the Pheonix Festa a new story is ‘quickly’ introduced; but alas this doesn’t bring the closure one would hope and as such ends the series with more questions then answers. 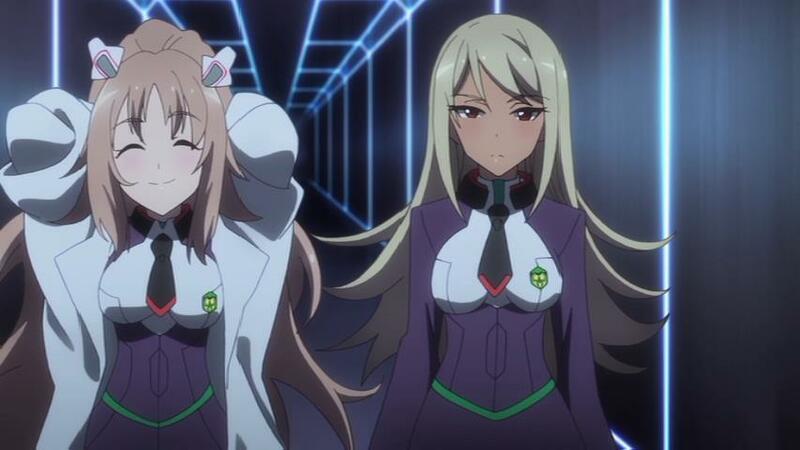 Secrets, Lies and Mystery is what the first twelve episodes of The Asterisk War brought to the table and in this second half of the series we have nothing but continuous fights overshadowed by empty threats. A conclusion is presented to us; but it does not provide the answers we like nor a conclusive ending to the story that was presented. Instead it illustrates that more can be found within the source material and that new fights and events await for those that wish to carry on exploring this world. In relation to this DVD release then once again Madman Entertainment have done a respectable job of providing a consistent quality release; but sadly its not all good news. While the visual quality is on par with the previous set and both the English & Japanese audio tracks remain clear the English Subtitles are presented in a rather inconsistent way – by jumping from the bottom to the top of screen. No visible reason can be seen for this to occur; but regardless it means keeping an eye out as placement of the subtitles can swiftly change. That’s not all either as, just like with the first half, the set features a rather simplistic menu design that leaves much to be desired. 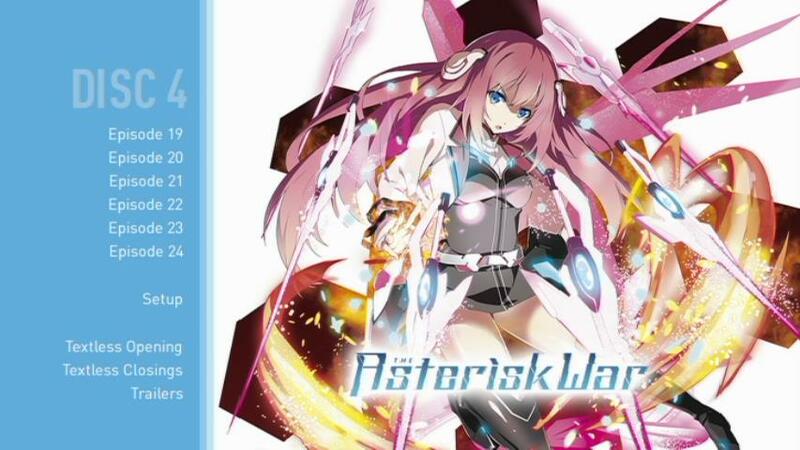 As a DVD release The Asterisk War – Part 2 could have been better produced; especially in regards to the subtitle placement and menu presentation. It’s not just the DVD production either as while the series is visually (and audibly) nice the lack of a progressive storyline and an inconclusive ending makes this set (and series as a whole) a rather disappointing experience. Entertaining fights with no backbone or sense of threat is what The Asterisk War – Part 2 seemingly has to offer. The Asterisk War – Part 2 will be available on DVD and Blu-Ray from the 29th October 2018 via MVM Entertainment UK.